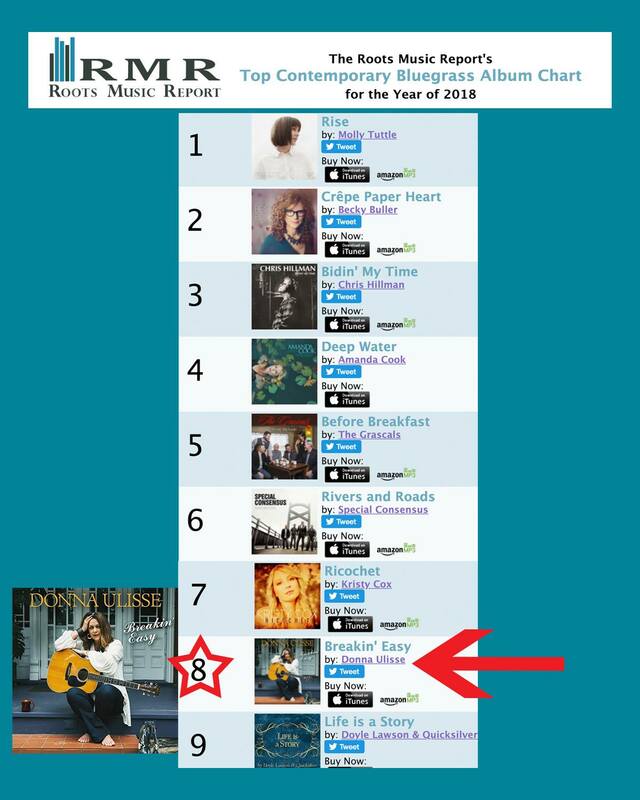 Breakin’ Easy lands in the Top Ten for 2018! 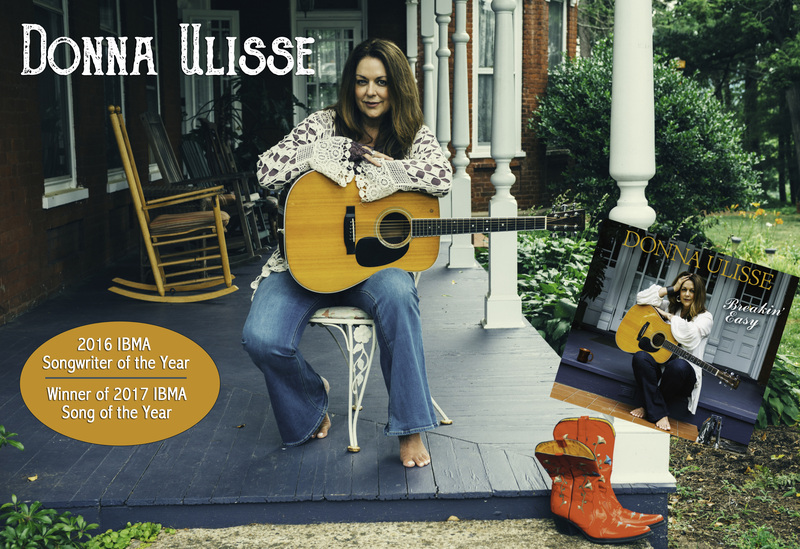 A big thank you to all the DJs for playing Donna’s album Breakin’ Easy and landing it in the Top Ten of the 2018 Roots Music Report’s most played albums of the year! Donna writes another #1 song! 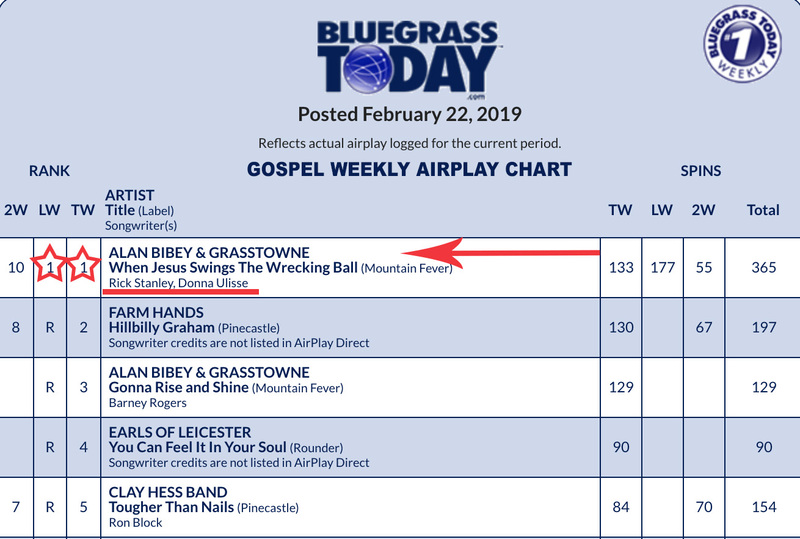 Alan Bibey & Grasstown recently recorded and released “When Jesus Swings the Wrecking Ball” which Donna wrote with her husband and frequent co-writer Rick Stanley. The song jumped to #1 and stayed there for two weeks in a row. Find out when Donna is performing near you by tracking her on BandsinTown! Click the icon below to track her!